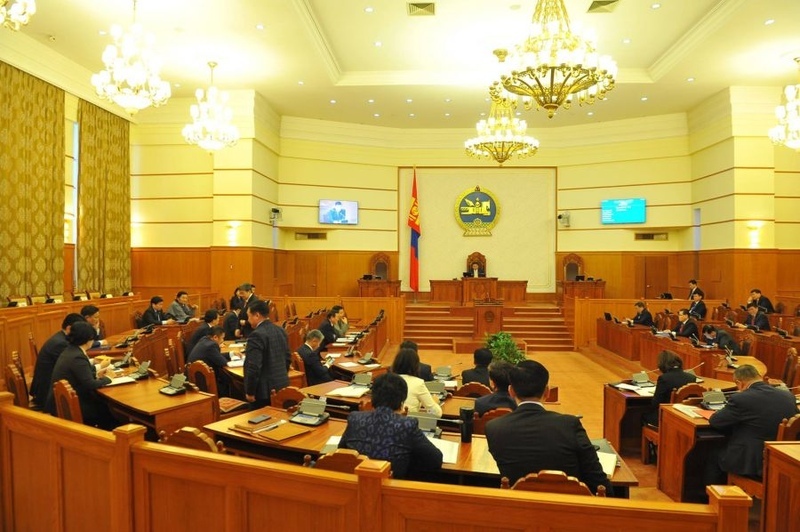 AKIPRESS.COM - Mongolian Parliament discussed and passed amendment to the Law on the Procedure of the Plenary Session of the State Great Khural by majority vote. President of Mongolia Khaltmaagiin Battulga initiated the bill and Chief of Staff to the President Z.Enkhbold submitted the bill to Chairman of the State Great Khural M.Enkhbold on January 4. Adoption of the bill will make it legally possible to hold an immediate discussion of dismissal of the Speaker of the Parliament in Parliament that was submitted by majority of the Parliamentarians. The law will enter into force on January 25, 2018, Montsame reports.